This recipe is packed full of vegetables! Kids love it! Insert sarcasm here.... To be honest, my kids love all of the vegetables that are in this dish except for the carrots and artichoke hearts. That means more artichoke hearts for me! I may have an issue with artichoke hearts. I love Pasta House salads and I especially love going with my mom because she can't stand artichoke hearts which means she gives them to me! My kids love raw carrots but once they are in any way heated through they are a no go. This recipe came from Robin Millers Quick Fix Meals. I have a confession to make. I have tried so many of her recipes from this book and I'm just not digging it. It's going to have to go in the Amazon seller pile. Do any of you agree? Cook the pasta according to package directions, then drain. Meanwhile, heat the oil in a large skillet over medium heat. Add the onion and garlic and cook, stirring, for 1 minute. Add the asparagus, carrot, mushrooms, and artichoke hearts and cook, stirring a few times, until the vegetables are crisp-tender and the mushrooms release their juices, about 5 minutes. Add the salt and pepper to coat. Stir in the tomatoes and bring to a simmer. Add the fettuccine and simmer for 2 minutes to heat through. Serve topped with the asiago cheese. 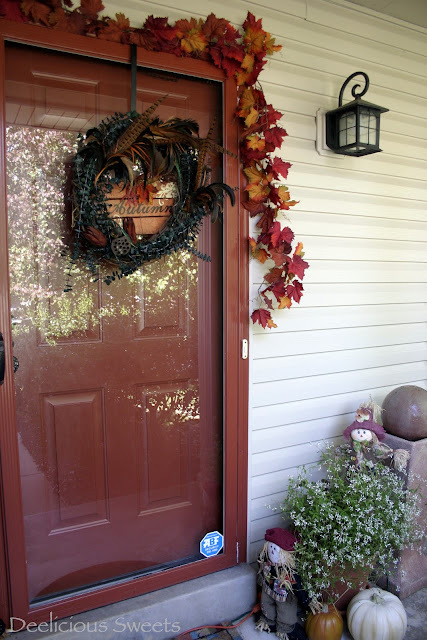 Natalie and I decorated our front door for fall yesterday. Would you like to see? Beautiful!! And that recipe sounds so good and I adore artichoke hearts :) I have copied it down! Your door is SOOOOO cute, I love it! Your fettucini looks delicious! 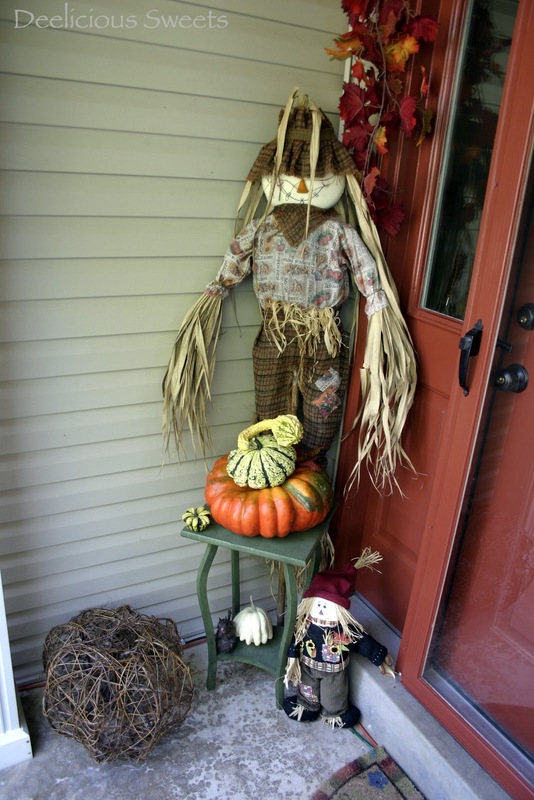 I have to say I am quite jealous of your fall decor. It is so hot here still I haven't even though of it. I can't believe tomorrow is October 1st. That pasta looks great, healthy and delicious. And I guess if is to yummy kids wont notice that those are veggies anyway.